Ok so if you have read our blog article “How to embed a YouTube video into the Surefire content management system” then you are going to realise this blog article is a complete ripoff of that! On the positive side, you will pretty much know how to do this already! At the top right of the Google Maps page is a link called ‘Link’. Click on this. A popup will appear. 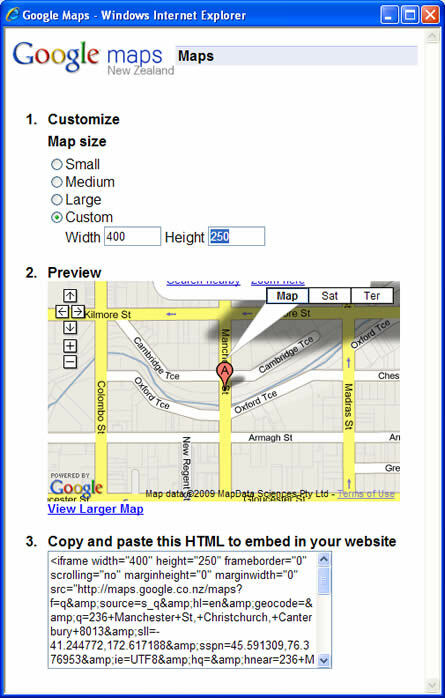 On this popup, click the link that says “Customise and preview embedded map”. The popup window that results, will let you select a size, or type in a custom size. Change the zoom settings, choose the map type – street, satellite, terrain. Even drag the map to the position you want. Once you have set your custom settings, copy everything in the box in step 3. Select everything in the box and right click copy, or ctrl C. This is the code you will paste into the editor. 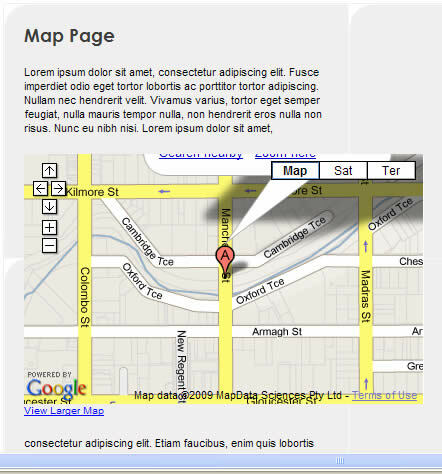 In the spot where you want to put the map, type something you will recognise… personally I type *******. 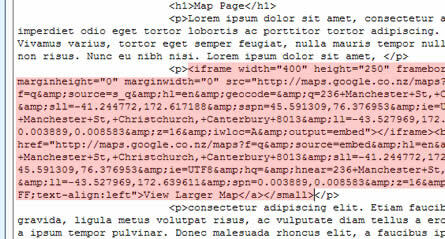 VERY CAREFULLY look through the html code for the ******* you typed. Delete the *s and making sure the cursor is in the right place, right click and select paste. This will drop in the code you copied from Google Maps. Press the ‘Source’ button again to get back to the usual view. 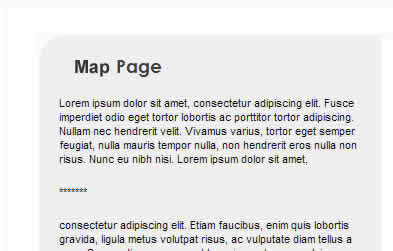 You should see the map embedded in the content now! If it isn’t… do NOT save the page. Go out and start again.